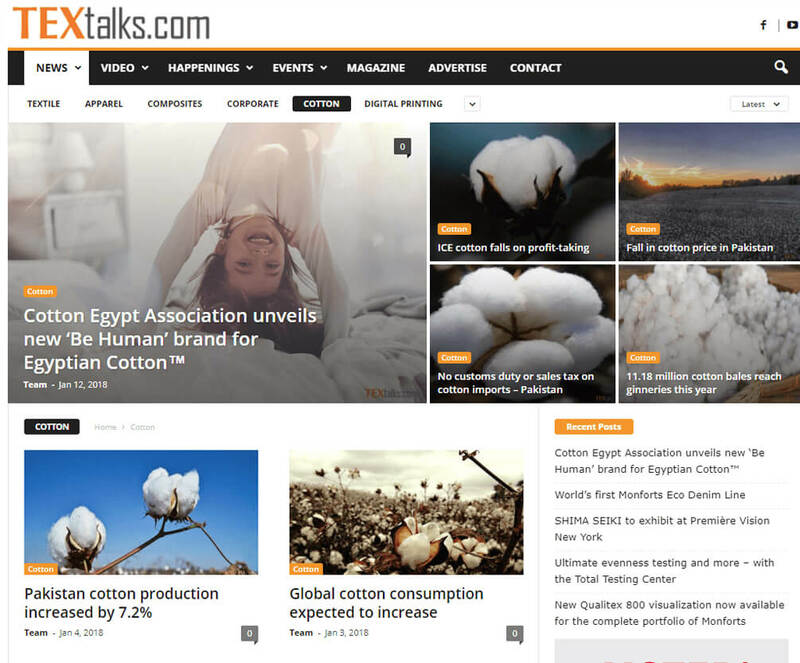 Global launch of new brand identity and DNA-based accreditation system for Egyptian Cotton ahead of major trade show in Frankfurt. jwc delivered above and beyond their brief, thanks to smart thinking and diligent project management. Egyptian Cotton is a by-word for luxury linen, the long-staple cotton is the softest and most exquisite in the world. The brand were being damaged by counterfeit goods, so their parent body – The Cotton Egypt Association, launched a DNA-based accreditation scheme. This also tied in to a global rebrand of Egyptian Cotton. 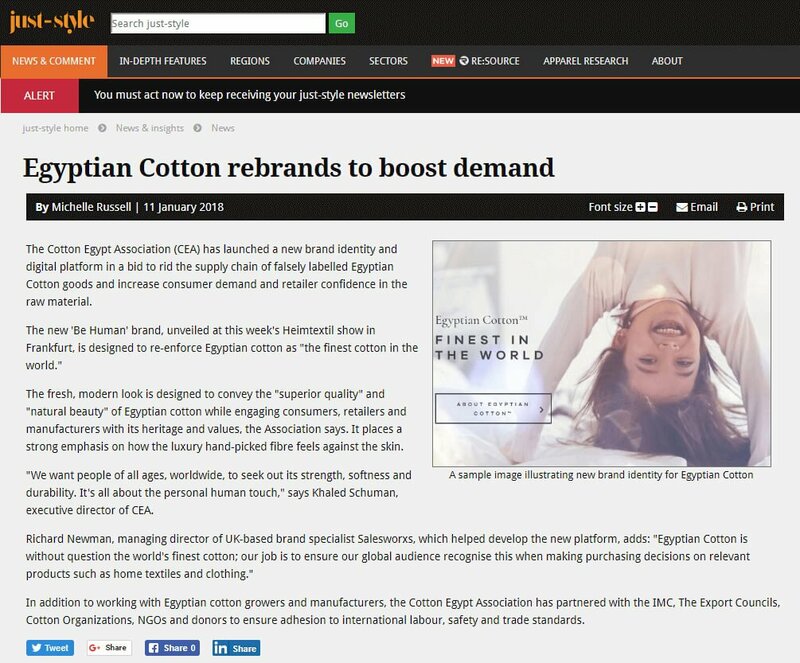 We were brought in by branding agency Salesworxs, to assist with the PR element of this global re-brand for Egyptian Cotton. As well as creating a buzz around the unveiling of the new brand at Heimtextil, trade show in Frankfurt in Q1 2018, our brief was to educate retailers and manufacturers about the new DNA-based process. Part of our tactics were to bring in senior figures from John Lewis and Dunelm, to voice support for the new scheme. We paired this with some gorgeous visuals – the new ‘Be Human’ brand images from Salesworxs – and created a media pack for the trade. We delivered to key trade media globally – selling in to India in the morning and the US in the afternoon – and arranged for meetings with journalists at the Heimtextil stand.